“Pawternity” Is Trending. And Millennials Love It. Pawternity leave (some call it “peternity” or “pupternity”) provides new pet owners with paid days off so they can care for their new, non-human companions. Believed to have begun a few years ago in the United Kingdom, this new corporate perk is now trending in America. Especially among millennials. According to American Pet Products Association, 68 percent of American households now own a pet, accounting for 84.6 million pet-owning households (36 percent of American households have a dog). Additionally, 11 percent of pet owners say their employers permit pets in the workplace today. (Instagram boasts nearly 260,000 posts with #officedog.) And millennials are now the largest pet-owning generation. Millennials are now the largest pet-owning generation. Last year, Ohio-based Brewdog, (an American subsidiary of the Scottish beer maker) claimed it was the first American company to offer such benefits. More are following. The number of businesses currently offering employees pawternity leave (and pet bereavement leave) is unknown. But U.K.-based Petplan, the largest pet insurance provider in the world, estimates that nearly 5 percent of workers are granted this new benefit. Some start-ups and tech concerns (in Seattle, Boston and New York) are offering it as a recruitment tool to attract young workers. Pawternity Leave, Not Maternity Leave? But Quartz at Work foresees some ticks and fleas biting on the benefit collar. The United States is the only industrialized nation in the world in which federal law does not mandate paid maternity leave for all mothers. And “just 14% of civilian workers have access to paid family leave.” Pawternity will surely raise lots of issues. Like fairness. Taxation of benefits. And the definition of a family member. 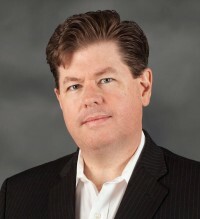 James P. Freeman is a columnist with NewBostonPost.com and former columnist with The Cape Cod Times. He wrote this for InsideSources.com.